The “holy grail” is the term for a roulette system that beats any and all roulette, including RNG (random number generator). In reality, RNG roulette is nothing more than software. It is identical to a slot machine, but instead of animated reels and fun little jackpot features with free spins, you see an animation of a wheel and ball. STEP 1. 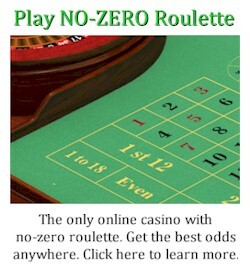 Download the 2,000,000 RNG spins from http://www.roulettetraining.com/real-spin-results/ and test your system using an automated tester (like at http://www.roulettetraining.com/system-testers/). If your system profits over these spins, you will specify the exact results, and proceed to the next step. Specifically send me the bankroll balance chart from your testing software, the total amount wagered, and the total amount won. STEP 2. Transfer $1000 to an escrow agent of your choice, under the terms that it will be paid to me if I find your test results (from step 1) are inaccurate. This is required because moving $100,000, as per the next step, is not so simple and I will lose income if you are wasting my time. I don’t always have this much funds sitting doing nothing in a bank account. Usually it is invested somewhere. So I will likely need to sell the investment (usually stocks). Please understand it from my point and that this challenge is legitimate, but many people have previously wasted my time. If you aren’t prepared to pay the $1000 to an escrow agent (which you get back if your tests are correct), then I don’t expect you have the holy grail. Lock your system file in an encrypted password-protected file (only you will have the password at this stage). 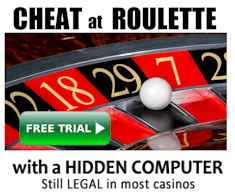 It must be a system tester script (roulette xtreme software). Your system must be clearly detailed with no ambiguity at all – it must be purely mechanical with no guesswork. STEP 3. I will send you a further 2,000,000 RNG spins. You will then test your system. If the results indicate profit, specify the results and proceed to the next step. STEP 4. The funds (US$100,000) will be transferred to an escrow agent, and the funds will be released to you following my verification that your testing is accurate. STEP 5. You will send me the password for the file containing the system. I will verify your testing is accurate. STEP 6. Assuming your testing is accurate, the escrow agent will release the US$100,000 to you. The challenge only applies to RNG (random number generator) spins, not spins from a physical wheel as I already know real wheels can be beaten. More spins may be needed as the final test must be conducted over 2,000,000 spins where bets are actually made. i.e. you cannot do something like skip 999,999 spins, and bet on only 1 spin. To achieve this, at any time just let me know if you need additional RNG spins. The above procedures are not set in concrete and can be customized to whatever you want to feel comfortable, provided your requests are fair and reasonable. If the system is what you claim, it will be used extensively by our teams in real casino conditions. Therefore, typical casino betting limits must apply (same limits as the game at www.rouletteplayers.org/register). This is not just a public challenge – it is an offer to buy the holy grail (if it actually exists). This offer is open to everyone, whether they are a system seller or not. By all means if you know of anyone who claims they have the holy grail, invite them to take this challenge. This challenge has been offered for many years, and the only people to have attempted it end up failing the initial testing. Does a System Really Need To Beat So Many Spins? It’s a common misconception that because you’ll probably never play millions of spins, that there’s no point to testing so many spins. If you had a system that almost always won in the short-term, what would the combined results be if 10,000 players all used your “short-term winning system” on different wheels? Will the combined result for all players be an overall win or loss? The point is casinos have both winners and losers. But most players lose. This is because of the house edge. A player may have clearly profited from casinos in a lifetime of play (perhaps 10,000 spins). They will be convinced their system works. But the reality may be their winnings are due to simple luck. Statistically, some players are still likely to profit over even 10,000 spins. Need proof? Just test a system over 10,000 spins with software like roulette xtreme. You’ll find perhaps 1 in 30 or so times, you’ll profit after even 10,000 spins. This means if there were 30 players all using the same system throughout the world, 29 would have lost and moved onto another system, and 1 player would be bragging to their family and friends about how their system works. So the purpose of testing so many spins for this challenge is to eliminate the possibility of wins being from luck. If your system is the “holy grail”, then it wouldn’t matter if you tested over 1m or 1 billion spins. The offer isn’t just a challenge. It’s an offer to buy your system. I already have various methods that beat real wheels – some of which are capable of achieving an edge over 150%. The only real issue is our winnings are limited by what we can get away with. For example, we can’t just win $1m in a night without the casino noticing, and probably banning our players. But the holy grail would be capable of winning virtually everywhere, and it would be easily used to win large amounts without players being detected. The procedures of this challenge are explained above. But I’m open to suggestions if you have another way of verifying your claims, while me being assured of receiving the correct system. Why Would Anyone Sell a System That Works? Why would anyone sell a business that made money? For many reasons. Likewise, typical approaches that do beat roulette still require time and effort. For example, I sell my system because I don’t need or use it anymore. I have something much better. Specifically I use my roulette computers which are far more profitable. Anyone who uses the system still needs to do the work. I also sell my roulette computers because they aren’t common enough to be a problem, you pay a fair price ($80,000 for best version), and there are far too many casinos for me to play in, so selling some computers maximizes revenue. If you want to sell me your holy grail, I’d also ask why you’re selling it. After all, you could win money virtually anytime, anywhere, without the casino even noticing. 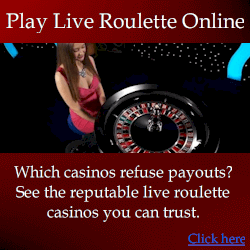 It’s not like my current methods to beat roulette where you must deliberately limit winnings to avoid detection. With the holy grail, even if you were detected you could play anywhere else and wouldn’t even need to check the suitability of the wheel. The majority of people who want to pursue this challenge don’t offer a convincing reason why they’re selling it. In any case, if you’re just trying to trick me and claim the $100k, understand I’m not stupid and know how to be sure a system is legitimately effective. My intentions and offer are genuine. Please only contact me as per the guidelines on this page. Specifically if you haven’t already tested the 2m spins with auto testing software, there’s no point to contacting me.